Blog When should a grease trap be emptied? 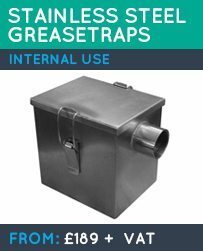 Grease traps are very often the single biggest cost for restaurants and commercial businesses if they are not cleaned regularly enough. There are lots of reasons why grease trap maintenance needs to be performed as a routine but mostly as emptying it will keep your drains running smoothly. 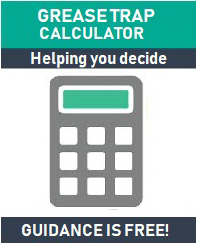 This, in the end, will prevent you having to pay out for expensive back-ups and allow you to keep your business running trouble free. How a grease trap works? The Grease traps in your sink have been engineered to prevent fats, oils or grease (FOG) getting into mainstream sewer lines. If left alone, FOG will cool and will solidify and it then begins to stick to pipes trapping in debris. Over time, FOG hinders the flow of waste water out into the sewer and causes blockages. Grease traps are in all likelihood one of the most underrated functioning elements in commercial kitchens. Your grease trap is what invaluably helps you to discard of waste the right way without clogging up entire systems. As they are so underrated, people usually only notice them when they go wrong, which is why most people want to know when should a grease trap be emptied? If you know the answer to this question, you no longer need to worry about a ‘grease trap backup’ which can inevitably cause a troublesome situation. 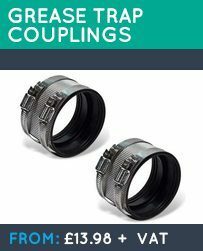 If you fail to empty your grease trap on a regular basis, the only way to remedy the serious difficulties that you will encounter as a consequence is with an expensive repair by a professional company. 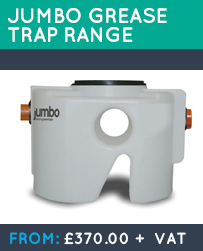 Simply avoid costly repairs bills by having your grease traps regularly cleaned. 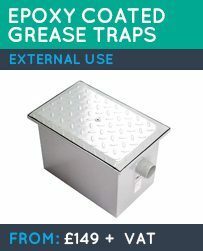 How frequently should grease traps be emptied? As a minimum, you ought to have your grease traps emptied at least once every three months. However, if you operate an especially busy commercial business, you might want to consider having them emptied and serviced more often. Good practice in busy restaurants means they will be emptied almost every month. It may be against the law in your area not have your grease trap regularly cleaned, and failure to follow correct procedures can result in fines for your business and other penalties. There are different ways to empty a grease trap yourself which will depend upon on the size, type, and location of your grease trap. If you set up a weekly grease trap empty and maintenance schedule, your business will still be able to run safely and expeditiously at all times. First, wait until your premises are closed for the day and that all items have already been cleaned. Next, remove the grease trap lid slowly and gently. Measure and record how many inches of grease are already in the trap. Then remove water from your trap with a bucket. Scoop out the grease from your trap, scrape the bottom and sides. Scrub it down and replace everything carefully. When should a grease trap be emptied is really up to you and how smoothly you wish your kitchen to run.